The Ritornello Chamber Music Festival will be coming to campus on May 26 and 27. The Department of Music has teamed up with the festival's artistic directors, Carissa Klopoushak (BMus'04) and Jacqueline Woods (BMus'06), to bring two spectacular musical events to Convocation Hall. The Gryphon Trio will present a master class on May 26 and a concert on May 27. Recently celebrating their 20th anniversary, the trio has impressed international audiences with its highly refined, dynamic performances and has firmly established itself as one of the world's pre-eminent piano trios. These events will mark their first chamber music performance in Saskatoon. 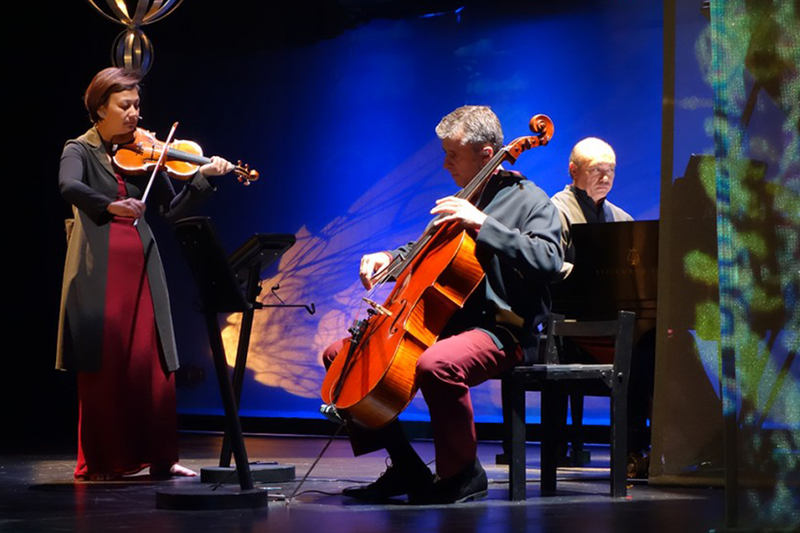 Striving to bring the chamber music concert experience into the 21st century, the Ritornello Chamber Music Festival showcases exciting Canadian musicians who are currently pursuing professional careers across the country and around the globe.